What's the one thing every child wants? More Playtime!! 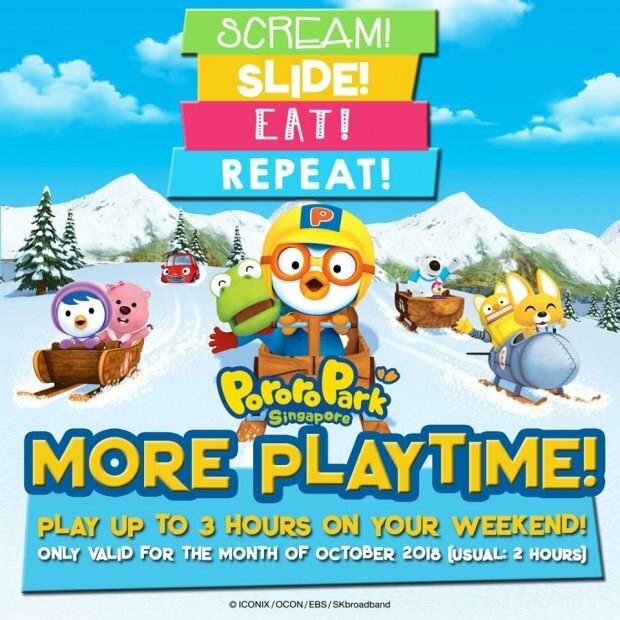 This month of October, enjoy an extra hour of playtime every weekend, that's a total of 3 hours (Usual: 2 hours)! What are you waiting for? Head down to Pororo Park Singapore (Marina Square, #02-29) for a fun-filled adventure! 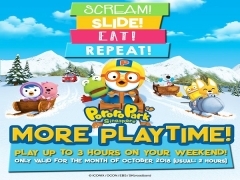 Check out Pororo Park Singapore for ore details about this offer and to know the latest happenings!